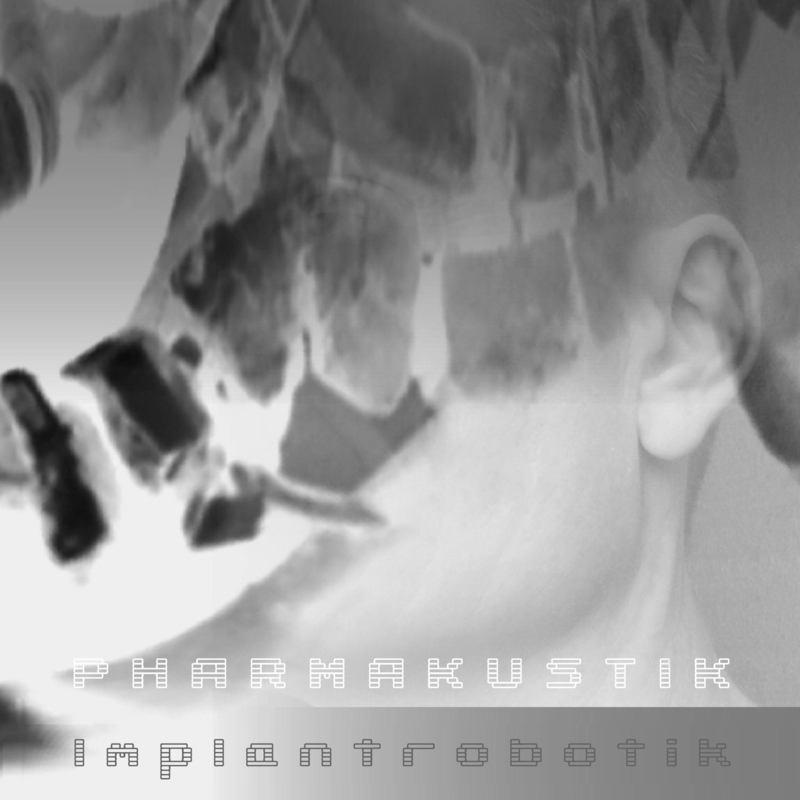 IMPLANTROBOTIK announces the newest perspectives of Pharmakustik implant-navigation by the use of robotic audiosystems, stereotactic technology and automation equipment. Pre-drilling rhythmic forces and fracture mechanics are combined with granulomateous voice-dissections within the field of uncompromising telemanipulation. 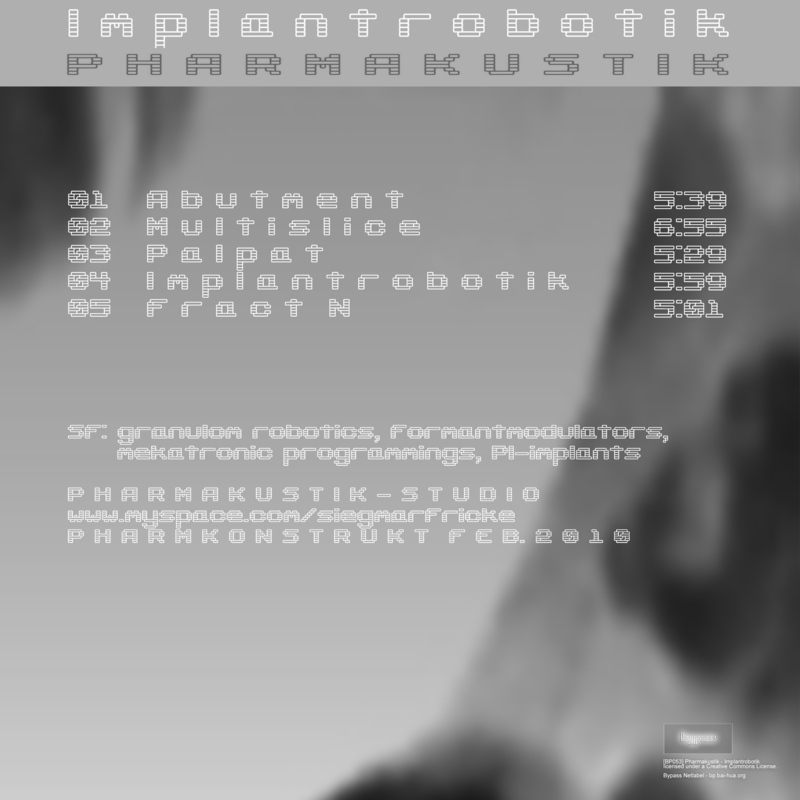 The current techniques of the Pharmakustik sound-research are characterized by intermodulating, morphing particles and their mutual interaction in the stereophonic panorama. Automated inspection of otoneurosurgical, motorcortical fragments for the atraumatic listener. Pharmaconstructive audiofluxus 2010.